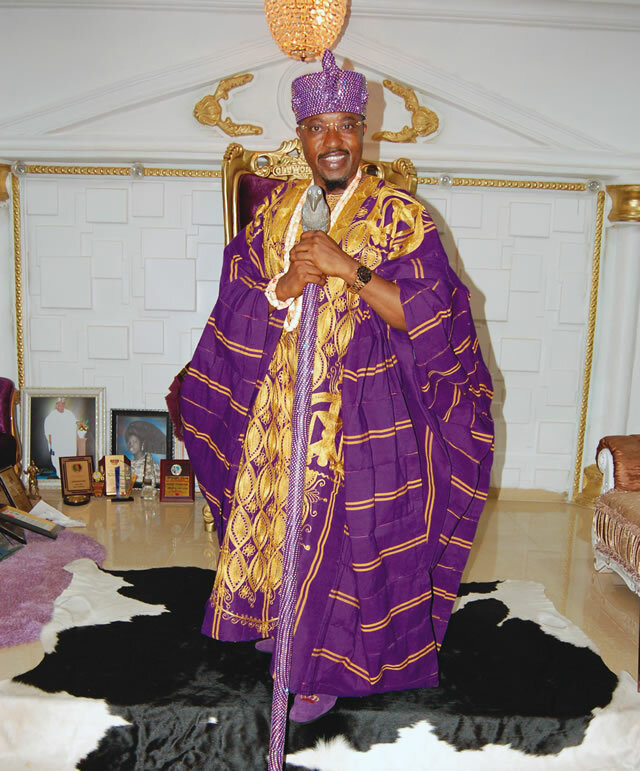 The Oluwo of Iwo, Oba Abdulraheed Akanbi, has said he will not appear before a Magistrate’s Court in Osogbo, Osun State, which on Tuesday last week, issued a bench warrant for his arrest ( Read that here). The monarch also declared that he was not involved in Internet fraud, known as Yahoo Yahoo, contrary to the allegation against him in a case before the court. The Magistrate’s court, presided over by Mr. Olusola Aluko, had, on December 20, issued a bench warrant for the arrest of the traditional ruler for refusing to appear in court in a case instituted against him by the Oluwo of Iwo Oke, Oba Kadiri Adeoye. Speaking with our correspondent on Sunday, Oba Akanbi said he was not a fraudster and would not appear before Aluko, alleging that the case had been compromised. The monarch equally alleged that some monarchs, who were afraid of his rising fame, were using the traditional ruler in his domain to fabricate lies against him with the aim of destroying his reputation. He said, “It is a shame on the judiciary to have such magistrate. There is no indictment; no case at all; somebody just brought a worthless paper before you. It is a civil case and you are relying on that to issue a warrant of arrest. “I am not a criminal. Some people want to tarnish my name and they cooked up a lie that I am into Yahoo Yahoo. I am not. Can one be a monarch and still be doing Yahoo Yahoo? What do I need that for? “The police commissioner is being represented in court, this is a civil matter; I was also represented in court by some traditional rulers and about five lawyers. Why didn’t he issue a bench warrant against the CP, who is the respondent in the case or was the CP present in court? The monarch said his achievements within a year of ascending the throne had intimidated some people including some monarchs, who he did not mention. The magistrate had threatened to issue a bench warrant against the Iwo monarch on December 2 if Oba Akanbi failed to appear before the court on December 20. The monarch did not appear in court but was represented by his counsel.